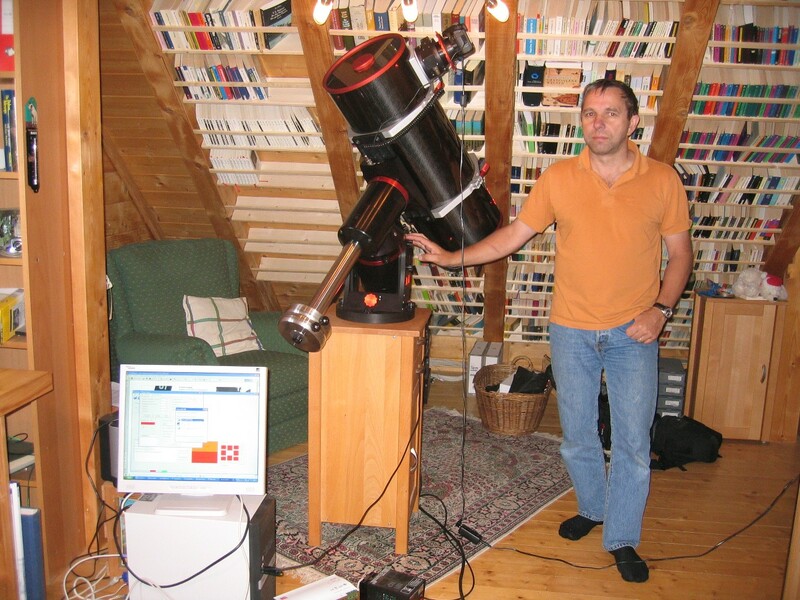 The mount used for all astrophotos on this web site, is an ASA DDM85 DirectDrive Mount from Astro Systems Austria http://www.astrosysteme.at. The new technology of direct drive motors in accordance with high resolution encoders makes guiding obsolete, and astrophotography FUN ! I will not give detailed descriptions of the mount or technology here, please refer to the manufacturers homepage.